What do you want from Christmas nibbles? You want something easy, tasty and quick to prepare that is going to take the edge off the hunger of the gathering hordes. Even if you simply want to invite people over for some Christmas drinks you’d better be prepared for the fact that at least one of them will arrive absolutely staaaarving and will hoover up a plateful of nibbles as if vying for a Guinness book of records placing. Have a few platters of nibbles set up and be prepared to refill the plates with these easy to put together bites. 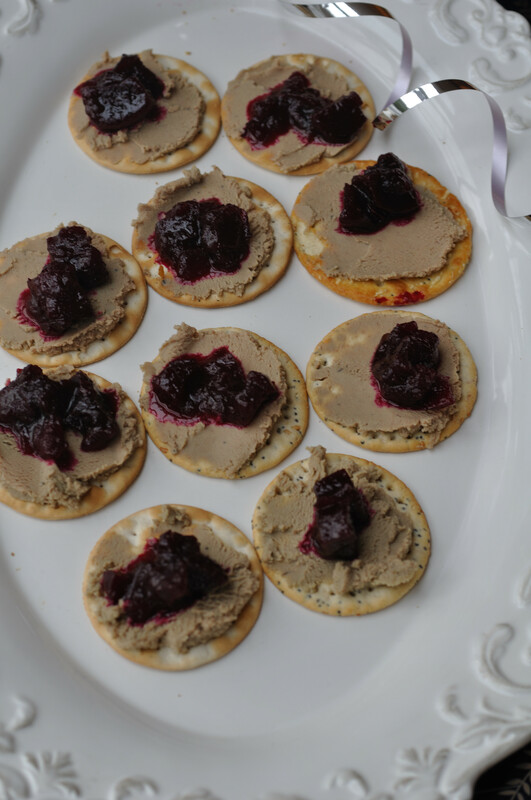 You will need some good quality crackers, some great locally produced pate and then some tasty topping alternatives. 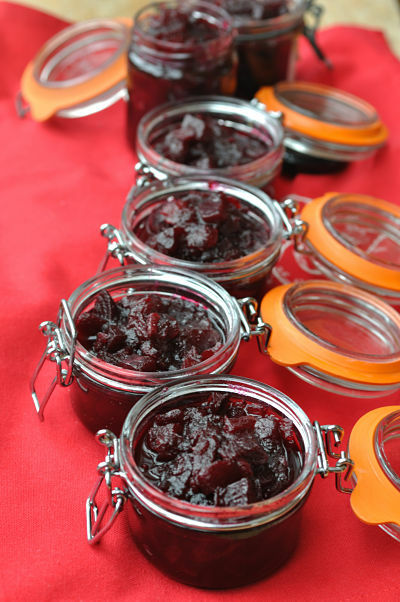 I suggest either Beetroot Relish (above) or Pickled Cucumber with pate and cranberry (below). 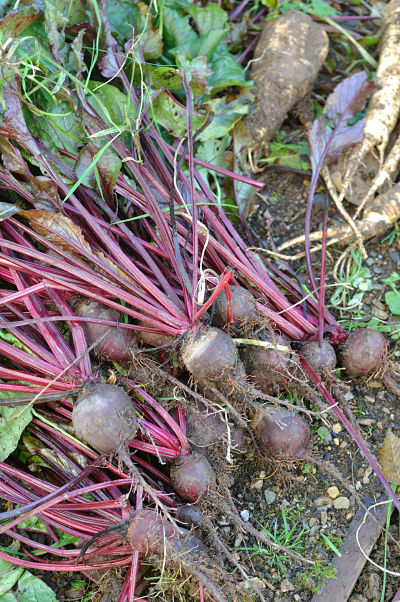 Don’t be put off by what you are about to see here because you are not expected to grow your own beetroot for this recipe as you can pick them up at the supermarket and I am merely showing off. I was aghast to see that I could buy a bunch of three beetroots for a euro and wondered at the effort it had taken to grown mine and in terms of labour (weeding) was it worth it? It is of course satisfying to grow and eat your own vegetables and I will be doing it again purely for the satisfaction and pleasure of eating what I’ve grown. 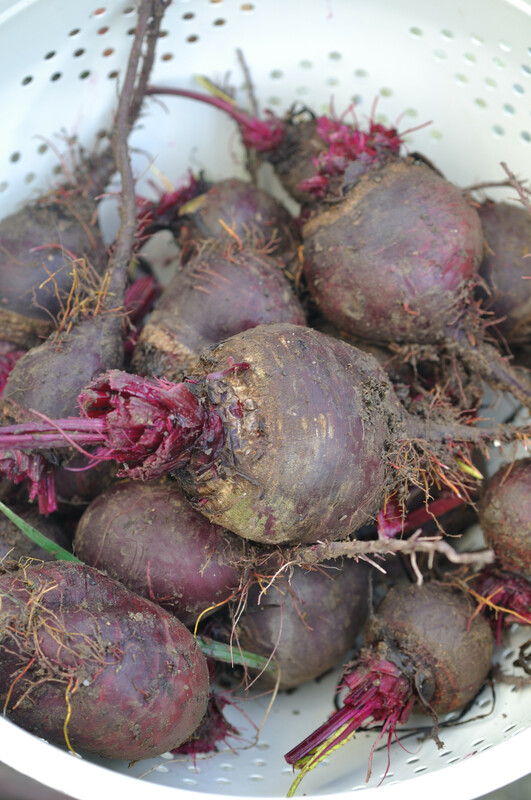 My beetroots were small but adequate enough and taste sensational. Peel and cut beetroot into cubes. Splash a little of the vinegar into a large pan with the onions and soften them over a medium heat for a few minutes. Add the apples and 4 tbsp of the sugar and cook until apple is easily squashed with a spoon. Add the cubed beetroot, salt and half of the vinegar. Simmer until thick. Stir in the sugar and remaining vinegar and continue until thick. Use within six to eight weeks. 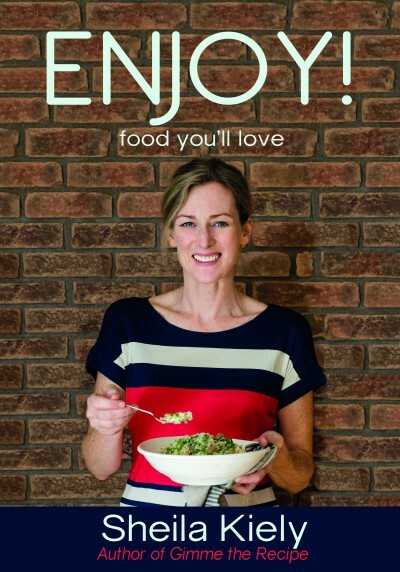 Again this can be easily bought and I love the one from the Just Food range available in my local SuperValu. 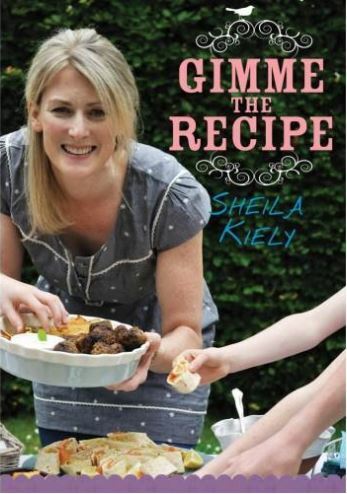 If you fancy a go at making your own it is incredibly easy and very satisfying. I did so last year and you can click here for that recipe. 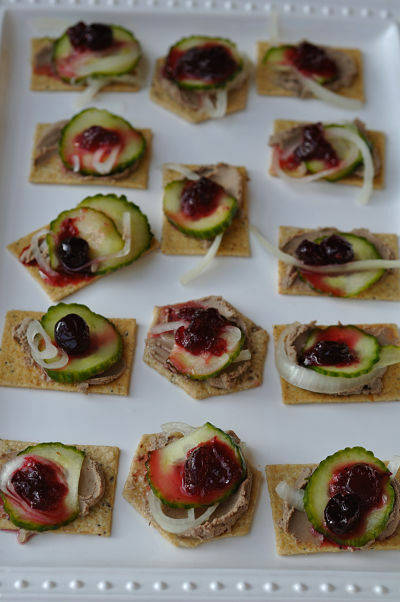 With your beetroot relish or pickled cucumber either made yourself or shop bought the assembly of this nibbles is just a simple smear of pate on some delicious crackers topped with the relish or cucumber and maybe a blob of cranberry sauce if desired.